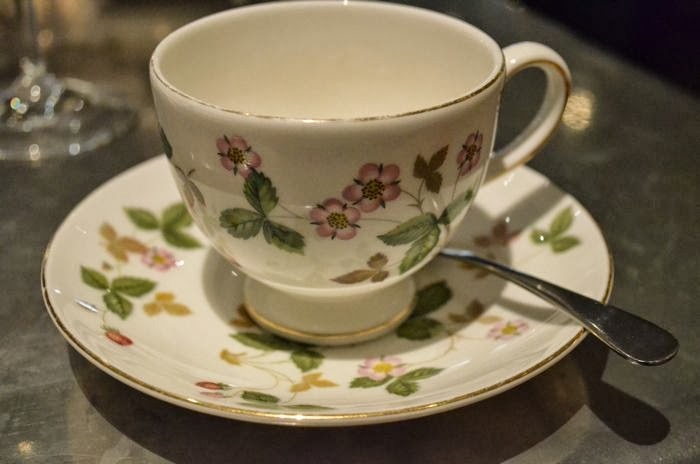 I have been spending quite a bit of time in a London neighborhood called Fitzrovia. The area is in central London and has an artsy, energetic feel to it. Cool restaurants like Salt Yard and Bubble Dogs are on every corner, and little art galleries fill up the blocks. One of the main arteries in Fitzrovia is Charlotte Street, and on it, is none other than the Charlotte Street Hotel. 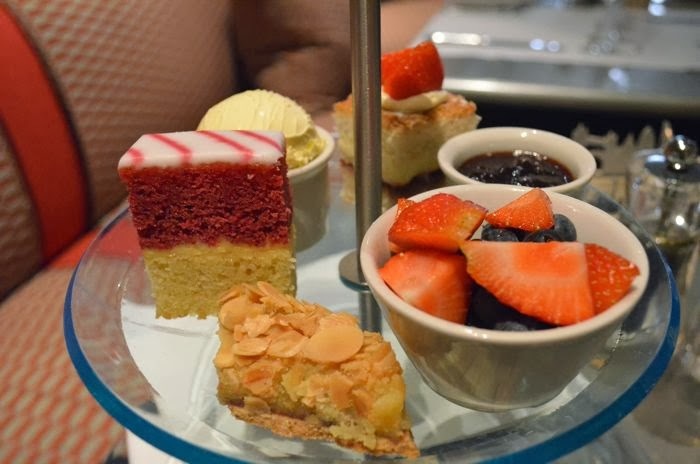 Yesterday I decided to pop in for some afternoon tea. First of all, I fell completely and totally in love with their dishes. The botanic designs reminded me of the Portmeirion dishes I inherited from my parents. I adore both sets of dishes! 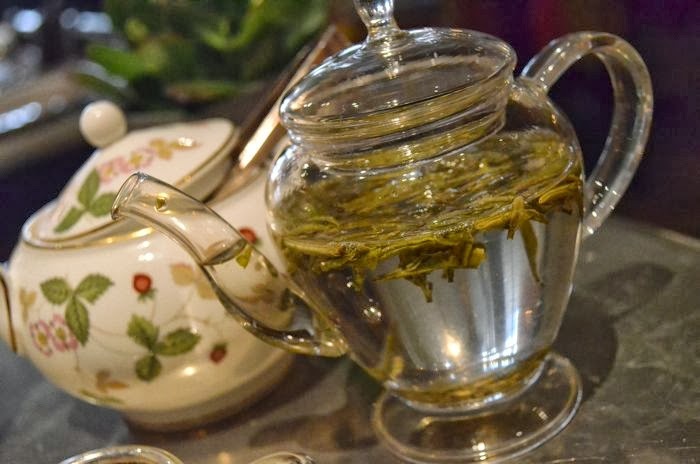 I loved the pot in which the tea was served -- definitely a fresh way to do it. 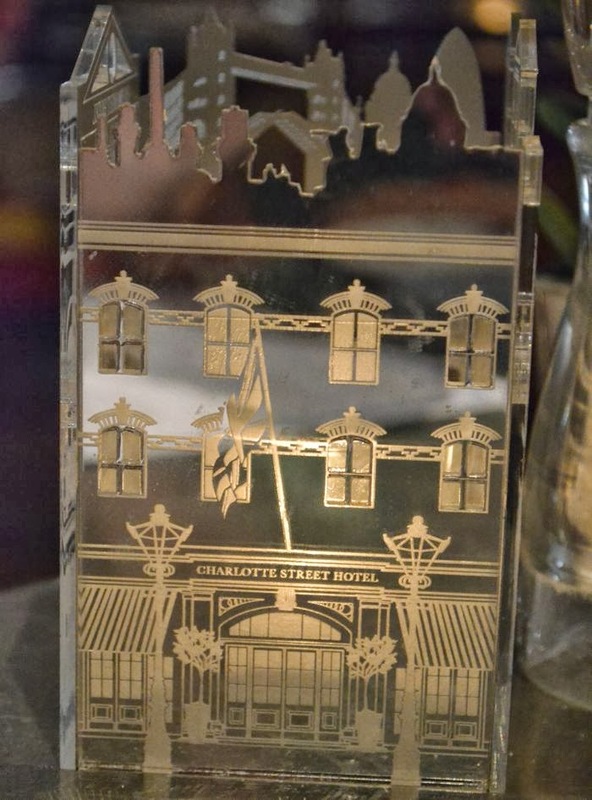 Most places have either silver or china, but I love the Charlotte Street Hotel's fun alternative. The tea leaves are quite pretty as well! Now let's address the scones and clotted cream. Where do I begin? I googled the ingredients for clotted cream, and all the recipes claim that it consists only of heavy whipping cream and milk. 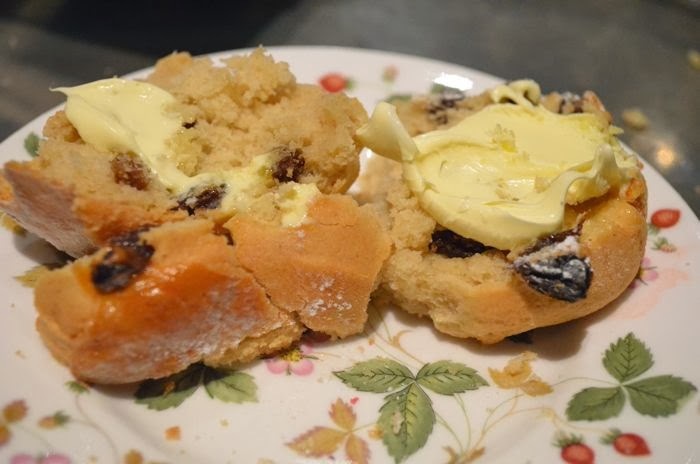 But I'm pretty sure all of those recipes overlooked some addictive substance that must be added in the preparation of clotted cream, because good Lord, I can't stop eating it -- it's so darn good! The additional pastries were fantastic. My favorite was the white and red layered cake. The cake was a dense sponge cake, with fondant like icing on top. It was absolutely divine. 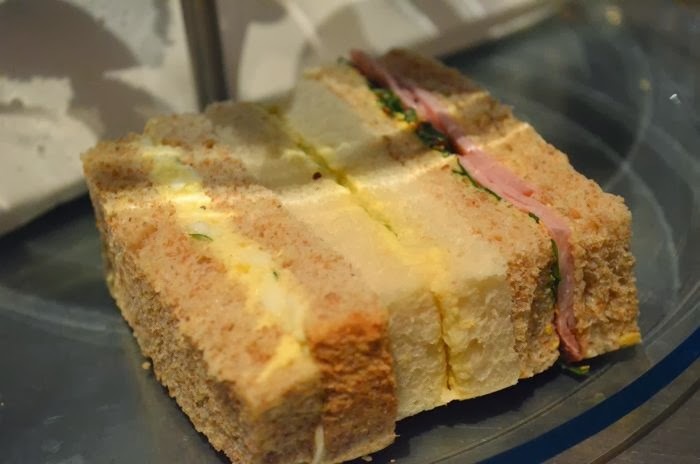 And a tea wouldn't be complete without finger sandwiches! As always, my favorite was the cucumber sandwich. I swear, I could live off of those. 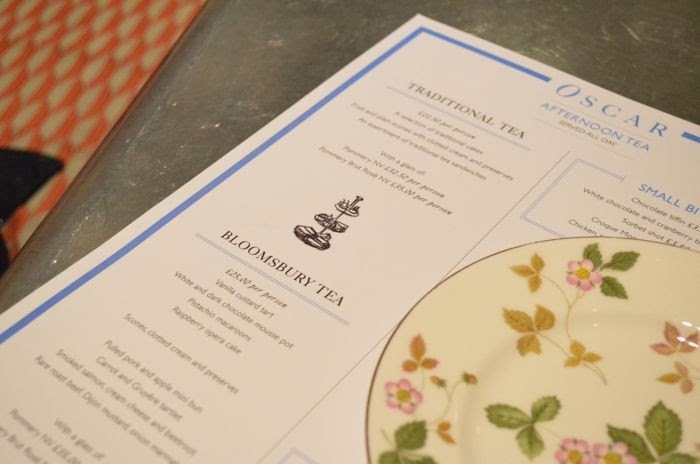 I had such a great time having tea at the Charlotte Street Hotel. I'm already planning on hosting my own when I get back to Kansas City!